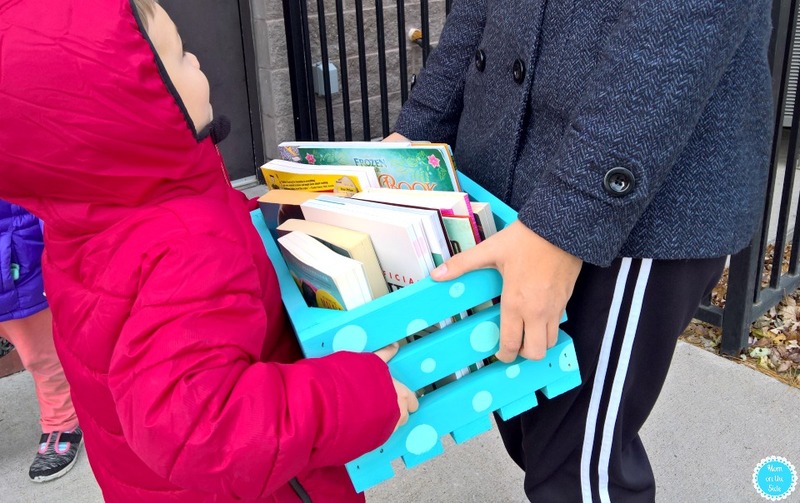 This post on How to Make Bookshare Box Libraries is sponsored by Disney and generationOn. Any opinions are 100% my own. Giving back to the community and supporting local businesses is important to me. My community is my home and I want it to be a wonderful place for my children to raise their families. There are tons of great ways to volunteer in the community, and making it a family event shows kids to experience the benefit of service to others. Family Volunteer Day occurs annually on the Saturday before Thanksgiving and this year it falls on November 18th. In preparation for Family Volunteer Day, the kids and I made the first of many Bookshare Box Libraries to gift to local organizations. I found this idea among more than 100 DIY projects on the Family Volunteer Day page, They have lots of great ideas on ways families can volunteer through local service projects in their own neighborhoods but I chose this one for a few reasons. 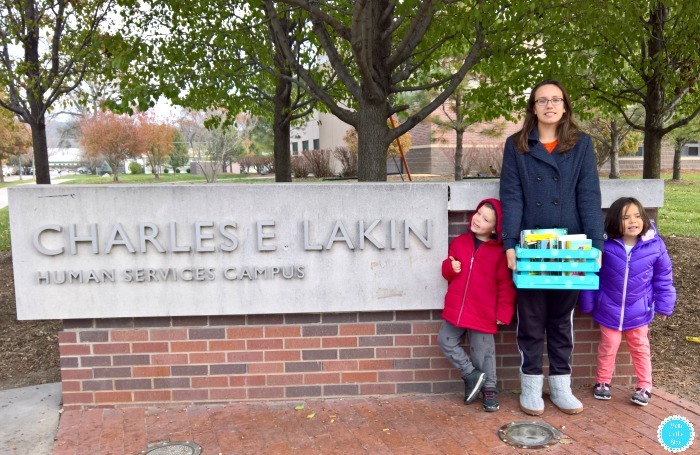 Bookshare Box Libraries are a great Family Volunteer Day project for us for a few reasons. One, because all of my kids love to read especially my 16-year-old who started her first book club in 3rd grade. Two, we have an abundance of books eagerly awaiting to be passed on to their next reader. Three, it’s almost winter here in Iowa and Bookshare Box Libraries go indoors unlike the little free libraries you may see around town. The concept is the same though, where people take and leave books as they need something new to read. If you want to make Bookshare Box Libraries with your kids for Family Volunteer Day, we are showing you how today! 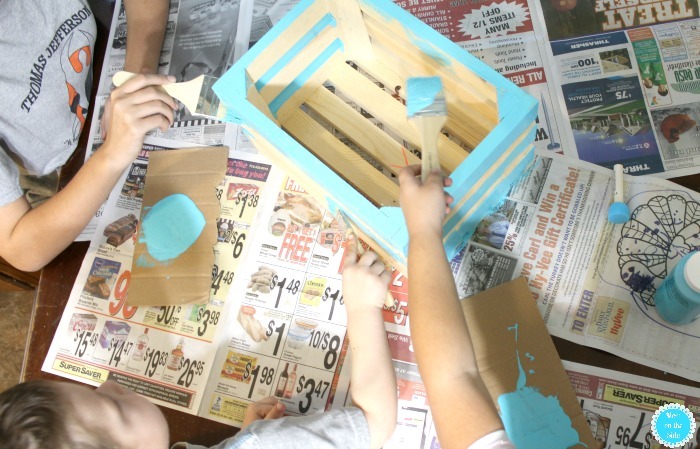 To start you will need a crate or wooden box, sandpaper, acrylic or latex paint, paint brushes, and sponges. First, sand down the crate so you have a smooth surface for painting. 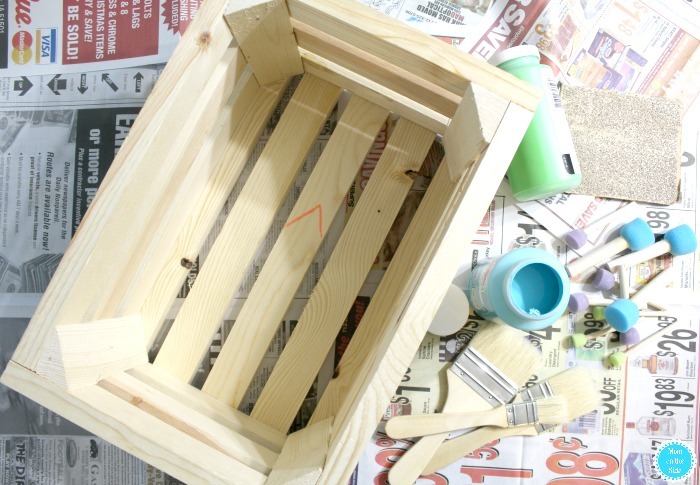 Next, apply a layer of paint the entire crate and let it dry completely. Depending on the color you are using you may want a second coat of paint. 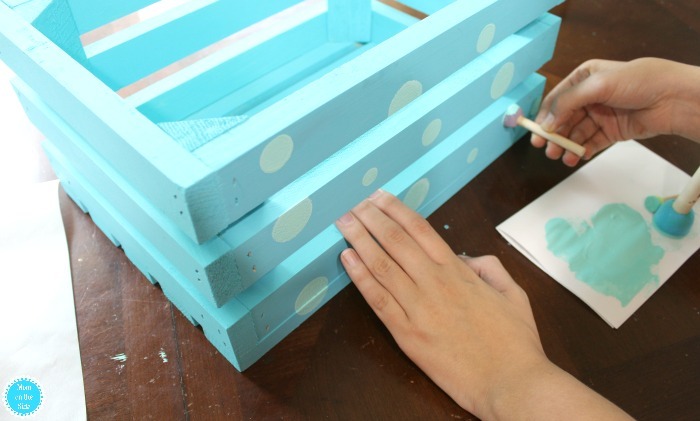 Once the crate is completely dry, use the sponges to apply a different color of paint and let it dry again. We used circular sponges in different sizes to add some fun to our Bookshare Box Library. When you are done painting and all the paint is dry, fill the crate with a variety of books you no longer read. 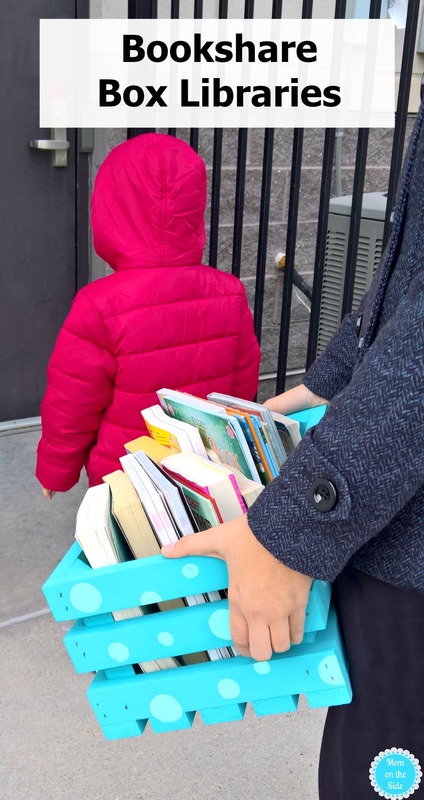 Deliver the Bookshare Box Library to a local organization so visitors can always grab something to read. Family Volunteer Day is a global day of service created to encourage families to volunteer together in support of their neighborhoods and communities — not only on the day of the event but also throughout the holiday season and every day during the year.What will your family be doing for Family Volunteer Day 2017?